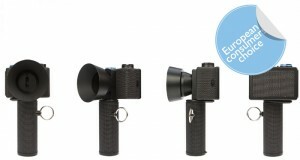 Thats right, the Lomography Spinner 360 has scooped the European Consumer Choice Award 2011. This crazy critter shoots full 360 degree images (on film of course) and is a unlike any other camera you may come across on your average day. Check out the complete press release after the break. We knew it all right from the start but now it is official – our whirling Lomography Spinner 360° is a winner! It was selected by the independent jury of the European Consumers Choice Award who honored the Lomography Spinner 360° with their precious award. After testing it thoroughly, looking at its delicate features and considering its innovative qualities, consumers from all over Europe and the jury itself decided unanimously to admit the Lomography Spinner 360° into its noble circle of winners of 2011. Amongst the other design beauties, the Lomography Spinner 360° cuts a fine figure. The testers only found smooth words for their experience with the most freewheeling camera on this planet. Some said: «This product is beautiful, timeless. », others noted: «Who can create that? The answer: Lomo! ». No wonder that the Lomography Spinner 360° reached 9.7 points out of ten possible which shows that this spinning miracle stood the test in all three categories with flying colours. Our hearts are filled with proud that this innovation did not only conquer Lomographer’s hearts all over the world but also the independent minds of the European Consumers Choice Awards jury. The Spinner 360° is a fully mechanic camera that captures infinite panoramic shots on 35 mm film with a spectacular spin. First class as well as wild style 360° photography has never been this accessible and thrilling. The Spinner 360° even exceeds the human perception and captures a full 360° vision which puts the Lomographer in the middle of a new lomocentric universe. Set in motion by pulling the trigger-cord with simple manpower, the rubber band drive lets the Spinner 360° revolve on its grip in perfect shutter speed. Featuring two aperture settings, this freewheeling fellow is the perfect companion for panoramic adventures indoors and outdoors. Fed with 400 ASA 35 mm film for best results, it captures everything in its sight on a frame multiple times longer than a conventional landscape picture. A panorama-go-round of the special kind for Lomographers that love to spin! Fixed Focus: 1m ~ inf. We, the Lomographic Society International, are a globally active organization dedicated to experimental and creative analogue snapshot photography. Lomographic pictures are moment-catchers; characterized by vibrant colours, shadowy framing, surprise effects and spontaneity. Boasting over one million members across the world, we seek to document the incredible planet around us in a never-ending stream of images. The Lomo LC-A+ camera was the first member of the huge lomographic analogue camera family. It confidently takes a seat at the dinner table alongside our other innovative and quirky Lomographic products – the Spinner 360°, Diana Mini, Diana F+, Lomo Lubitel 166+, Fisheye camera, theColorsplash camera, the Supersampler, Horizon, Pop 9, Actionsampler as well as many other bags, lenses and accessories, books and stationery.